I am a New York State certified teacher (grades 1-6, special education) with a Master's degree in childhood and special education. I have been working with students of all ages for almost a decade in a variety of contexts; I am an experienced teacher and tutor, as well as a certified swim instructor and aquatics director. I have a strong liberal arts background and am well-versed in content knowledge in many academic areas, especially the humanities and social sciences. My philosophy as a teacher and tutor includes the belief that students all have different needs, strengths, and areas where they need to improve. As such, I tailor each lesson to the particular student based on their needs and how they learn best. My background and experiences as a special educator allow me to easily differentiate lessons and come up with the most useful learning strategies for each student and endeavor. I believe that students of all ages can learn and succeed with the right instruction and skills. I provide a warm environment so that students feel comfortable and have opportunities for success. I like to connect students to the learning through real experiences as well as activating prior knowledge and finding ways to make the subject fun and enjoyable to learn about. I try to incorporate as many modalities and senses as possible when teaching and tutoring, as this creates a more meaningful learning experience and helps with recall later. I am passionate about helping students of all ages to learn and succeed and this drives me to work hard and continue to improve upon my own methods and find new instructional strategies! Please feel free to inquire about my experiences and how I can be of service to you or your child! Rate details: Cancellations and scheduling changes must be made with at least 24 hours notice. If sessions are cancelled or changed without 24 hours notice, I charge for a full hour. I enjoy helping students learn how to speak in public comfortably and confidently! I have engaged in public speaking in a variety of contexts including professional and grad school presentations and parent orientations. I also was an active member of my high school and college debate teams and participated in a number of academic forums in which I had to speak publicly. I received an A in a public speaking class during my undergraduate career and acted as a peer tutor to fellow students. I am certified by New York State to teach grades 1-6 (also special education 1-6) and also hold a master's degree from Manhattanville College in Childhood and Special Education. My graduate GPA was 4.0. As a certified childhood and special education teacher, I have taught math in 3rd and 4th grade classrooms. I have worked with a variety of curricula including Investigations, Envision, EnagageNY, and Math Mammoth. 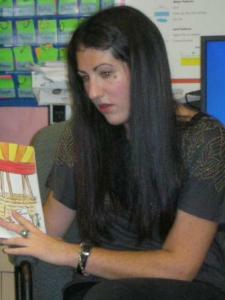 I currently tutor many elementary students in math skills and all of my lessons are aligned to Common Core Standards. I focus on teaching students multiple strategies to solve problems and critical thinking. I also incorporate many games into lessons as math lends itself to instructional games that are fun, engaging, and reinforce the skills we are working on together. 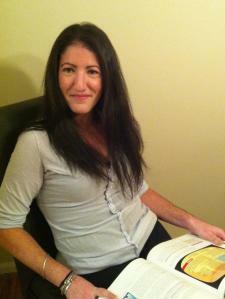 I have a master's degree in special education (study skills being a part of the curriculum). Additionally I have had the opportunity develop well-honed study skills during the course of my own studies. I maintained very high GPA's by doing the amount of work necessary and having solid study skills that emphasize comprehension and efficiency. I have tutored students in many subjects and assisted them in studying and test preparation. I am very interested in studying religion from an academic perspective. During my undergraduate career, I took several religion classes, some looking at specific religions through the lens of literature, culture, and politics and others examining the interaction between religious groups and society at large. I am also an avid reader of current issues concerning religion in America and around the world. As a student of art history (as well as general history and social sciences), I also bring to the table a great understanding of religious art and its forms and functions through the ages. During my undergraduate work, I took many Sociology classes and was only a few credits shy of a minor in Sociology. Within the field of Sociology, I have studied social problems, criminal justice, sociology and the environment, religion and secular society, and many others. I finished my B.A. with a 3.7 GPA. The social sciences are a personal interest of mine as well, and I am constantly reading literature to stay up to date with current issues in the field. As a literacy and writing specialist, I have helped many students and peers successfully gain admission to their top choice schools (including some of the top colleges and universities in the country, and undergraduate and graduate programs) by working with them to draft, revise, and edit admissions essays and writing supplements. I begin the process by brainstorming with students and helping them find the best idea that will help tell a cohesive and desirable story of who they are as a student and person. I understand what admissions officers are looking for in the "total package" and can thus guide and facilitate the writing and application processes to ensure the best chance for success. I have a New York State certification in special education, grades 1-6. I also have a master's degree from Manhattanville College in Special Education. I graduated with a 4.0 GPA and have worked with students with disabilities in a variety of schools and one-on-one and group settings. I know and utilize a variety of instructional strategies to help students organize and recall information. 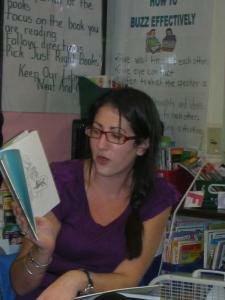 I have a flexible teaching style and can work with students with a variety of needs. I am an American Red Cross certified lifeguard and Water Safety Instructor (Swim Instructor) and have been teaching swimming for a decade. I am currently certified by the Red Cross (also in CPR, first aid, and AED) and run a learn-to-swim program at a day camp during the summer. Alex helped me with my personal statements for graduate school. It was helpful to brainstorm ahead of time because it made our sessions more productive. However, we brainstormed more throughout our sessions. She made me feel confident in my writing and the writing process less stressful. She took notes as we talked and cares about making a connection with her students. I definitely recommend her assistance! It was such a pleasure to work with her and I will be sure to keep in contact with her for future assignments! 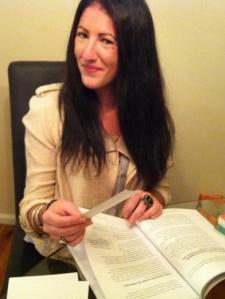 Alexandra is a highly skilled and knowledgeable writing teacher. Warm and nurturing. Reliable. Made learning meaningful, engaging and fun. Definitely recommend and will use again. Alex is well prepared and detail-oriented and works hard during the sessions to make sure my son understands what she is working on with him. Alexandra worked with me very diligently and helped me with several college supplemental essays. Alex knew exactly what college admissions officers were looking for which helped me include critical information in my essays. Also, I was able to engage in conversation with Alex about how to go about revising my essays. She approaches the essay sentence by sentence and makes sure that the essential question: "so what?" is always answered within the writing. I recommend Alex as a tutor for anyone in need of help for any piece of writing. Thank you for the lovely review Brian! It was a pleasure working with you and I know you are going to have an excellent array of schools to choose from! You are a great writer and the essays were great. I look forward to working together in the future if the need arises!